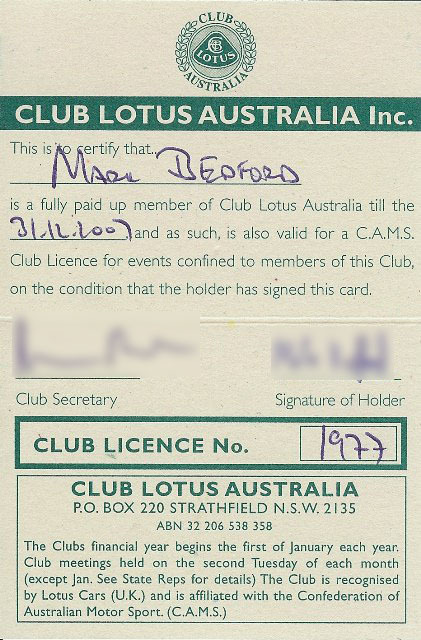 Horah i’ve been accepted as a full member of Lotus Club Australia! the first step to gaining my Australian CAMS Motor Sport license and the first step to being allowed on a racetrack. My good old mates Richard Earnshaw and Dan Jones of Duffnote Records suggested I put together a DJ mix and they might be able to air it on their weekly radio show in the UK. I dug out a mix I recorded about 9 months ago and I remember after recording had finished it was one of my proudest mix sessions Iâ€™d ever done, every mix was pretty much perfect and it all flowed so well. It even had my remix edit of Richards own track Joyride, which I re-labed â€˜Franky Joyridesâ€™ lookout for it 3/4 the way though. The original mix was an hour and a half long but I sent the first hour over to the boys in the UK. They both really liked it and have featured it as their classic guest mix for this weekâ€™s show. Thanks for using my mix from your old mate Beddy guys. Mention weâ€™ve bagged all the best Soulful House DJâ€™s in Australasia as residents, Graham Cordery, Liam Sampras, Dave54, Nick Vidal, Yogi & Ibizaâ€™s Timmy Trumpet. Listen live with the links below. Today me and Chris left early in the morning for a drive around the Royal National Park just south of the city, stopping halfway for breakfast it was a good drive around twisting roads in the countryside and I started to get a better feel for the handling of the car. Here’s a short clip of the drive. This weekend we whisked ourselves away to the capital Canberra to do the half marathon there. We drove there in the new toy (first time out of the city) driving via Wollongong to Pick up Sanna. Just about managed to cram in a weekends worth of clothes, our running gear and the roof of the little Lotus into the back. Here’s a photo taken just after a spirited drive through the Royal National Park. I left at 7am so to get the cool crisp winter air on my morning run, the roads were deserted apart from a few bikers who enjoyed keeping up to my rear as I winded though the twisty national park roads. I took this photo and it was lovely and quiet, all you could hear was he tinging of the engine cooling down and the waves down below against the cliffs. Have to say, rubbish on the left, thatâ€™s not normal Australia, itâ€™s a very clean place usually. Canberra, the capital of Australia and probably the most un-interesting place ever after youâ€™ve visited it once. The biggest dead kangaroo Iâ€™ve ever seen! It was as big as a person! it must of really damaged the car or whatever hit it! No there are no photos of me a Sanna doing the Canberra half marathon, we would look far too tired and ugly for photo proof. We did a really good time though, approx 1:45 which is beats my previous personal best I set in the South England New Forest marathon of 1:56 by memory.